The FBI arrested a Chinese national in Chicago on Tuesday who was working as an unregistered agent of China's civilian intelligence service in secretly targeting American technology from defense contractors. Ji Chaoqun, 27, was arrested in Chicago by FBI agents and charged with acting as an illegal agent of the People's Republic of China. According to a criminal complaint filed in federal court, Ji came to the United States in 2013 on an F1 visa as an engineering student and was working with a high-level officer of the Ministry of State Security, the civilian spy agency. After he had been recruited by Chinese intelligence, Ji enlisted in the U.S. Army Reserve program called Military Accession Vital to the National Interest program, known as MAVNI. The program allows the Army to hire certain legal aliens with special skills. In order to join the program, Ji applied for a security clearance and provided misleading answers to questions about foreign contacts, the complaint said. Ji is charged with acting as an unregistered foreign agent. He was scheduled to appear in federal court later Tuesday. The arrest is a rare case revealing Chinese intelligence operations in the United States. The Trump administration has accused China of engaging in massive theft of U.S. technology through espionage and cyber spying. The technology theft has led the administration to impose more than $200 billion in tariffs on Chinese goods. The tariffs went into effect Monday and prompted China to retaliate by imposing $60 billion in tariffs on U.S. goods. 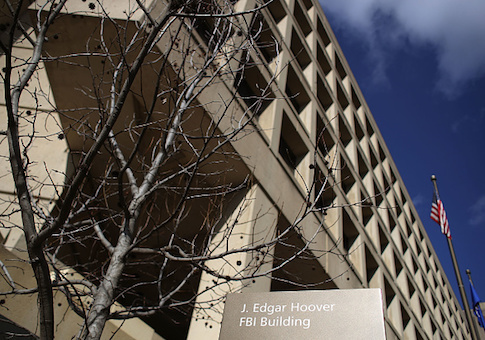 The FBI has had a poor record of countering China's spies. In the 1990s, its case against Los Alamos nuclear scientist Wen Ho Lee collapsed. Lee was charged with supplying nuclear weapons secrets to China. Then in 2003, the FBI-prized spy recruit Katrina Leung was found to be a double agent secretly working for China. Leung was found to be having an affair with two FBI counterintelligence officials. Spy charges against her were dropped, but she pleaded guilty to lesser charges. Her double agent activities undermine 20 years of intelligence on China. The complaint on Ji said court-approved email surveillance in Ohio beginning October 2017 showed that an unidentified engineer with a major aircraft engine supplier was secretly supplying technical information that was sent to China. The user of the email account was later discovered to be a Chinese intelligence officer, specifically a deputy division director with the Jiangsu Province MSS working with the service since June 2003. The FBI then discovered through an iCloud search of the intelligence officer's communications with another intelligence officer that revealed the first officer was operating as a spy under cover of an official of the Association for Science and Technology in China. The intelligence officer said in one text message, "the customer does not know our identity. I approached him with the identity of the deputy secretary general employed by an Association for Science and Technology." The officer then recruited Ji who received a master's degree in electrical engineering at the Illinois Institute of Technology in Chicago two years after coming to the United States. Ji was introduced to the intelligence officer by a second MSS officer, and the FBI obtained 36 messages between the two. Ji also was tracked traveling to Beijing between December 2014 and January 2014; May to July 2014; and December 2014 and February 2015. The FBI also said Ji sent eight PDF documents to the intelligence officer described in court papers as "background reports on eight U.S. individuals generated by U.S.-based companies Intelius, Inc., Instant Checkmate, and Spokeo." The FBI did not identify the names of the people who were the target of the background check reports. All were described as naturalized U.S. citizens born in China or Taiwan who now live in the United States. "All eight individuals either currently worked in or were recently retired from a career in science and technology industry, including several individuals specializing in aerospace fields," the complaint states. As of January, seven of the eight people worked for or recently retired from defense contractors engaged in classified work. The FBI believes the background checks were part of an intelligence recruitment program by the MSS. Ji met with an FBI undercover agent in April 2018 who told Ji that the meeting was arranged by an MSS officer because Ji's original MSS handler had been arrested. The FBI learned of Ji's activities on behalf of the MSS during tape-recorded conversations. At one point he told the undercover FBI agent that the MSS officers "just wanted me to purchase some documents on their behalf." "Their reason was just because it was inconvenient for them to make payments from China," he was quoted as saying. In reality, the three background check companies do not do business with Chinese customers. The arrest was announced by Assistant Attorney General for National Security John C. Demers, U.S. Attorney John R. Lausch Jr. for the Northern District of Illinois, and Special Agent in Charge Jeffrey S. Sallet of the FBI’s Chicago field office. The case was assisted by the Army's 902nd Military Intelligence Group that is involved in the MAVNI program. This entry was posted in National Security and tagged Chicago, China, FBI. Bookmark the permalink.